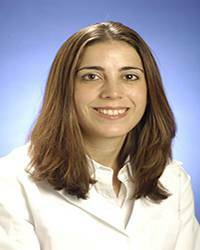 Nicole Evancich, MD, is the ED Medical Director at Germantown Emergency Care Center in Germantown, MD. Dr. Evancich received her undergraduate degree from Duke University and earned her medical degree from Georgetown University. She completed her residency training at Brown University/Rhode Island Hospital. Outside of the ED, Dr. Evancich enjoys spending time with her son, family and friends. She also enjoys exercising, hiking, reading and attending concerts and movies.